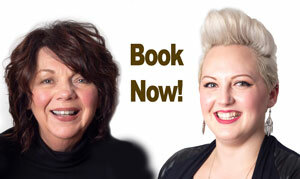 Our Pricing is tiered to reflect the expertise of the stylist. Master Stylists are hairstylists who have excelled in at least two of our three requirements for a level increase. They have mastered the most up-to-date cut and color techniques and they have the ability to teach these techniques to our staff. A MS must have built a great reputation as a hairstylist in the community. A MS in our salon takes appointments by request only. These are the most sought after hairstylist in the salon not only because of their very advanced education level but also because of their well known reputation in the community. Our Senior Stylists are hairstylists who have completed at least 250 hours of continuing education through in-salon training and attendance at approved education based hair classes. Generally our SS’s have completed at least one year at the JS level. Our Junior Stylist is someone who has completed their hair stylist course and has been working as a stylist for less than a year. Junior stylist pricing is a little bit lower than any other level due to the shorter amount of time in the industry. At our salon, all Junior Stylists undergo an intense 6-12 month minimum training process that goes above and beyond what they would have learned in hair school. No stylist is able to take on a client until they have successfully completed this program. A Junior Stylist may not always be someone who is right out of hair school, but rather someone who is new to our salon. Anyone that is part of the Sogno Team must undergo the same training process. Getting your hair done by a Junior Stylist will keep your bill to minimum, but your style on the edge.